Gerald Brody and Associates specializes in workers' compensation claim settlements and San Diego, providing representation for a wide variety of job industries and individuals. 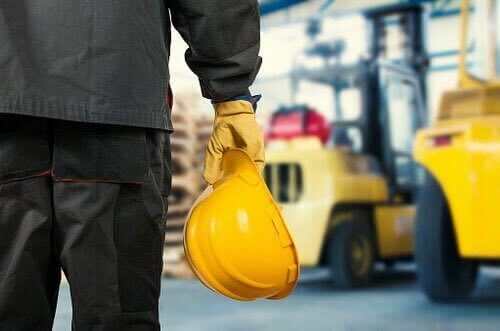 We have experience getting cash settlements for workplace injuries for every job industry and type of accident, from slip and fall injuries to Longshoreman claims. If you are interested in representation from a workers' compensation attorney, contact Gerald Brody and Associates today by giving us a call at (619) 528-9800. The workers' compensation lawyers at Gerald Brody and Associates have years of experience representing a wide array of workers' compensation claims and getting cash settlements in a wide variety of workers' compensation cases. Learn more about each and every step of the workers; compensation claim process, with the experts at Gerald Brody providing insight on what to expect. We answer workers' compensation frequently asked questions, but the best way to understand workers' comp is to give us a call at (619) 528-9800. A Qualified Medical Evaluator (QME) is a medical professional who will look at the injury that is part of a workers' compensation claims if the injury is disputed. The QME will make a determination as to whether the injury is accurate to the description, which is a key part of a workers' compensation claim settlement. The workers' compensation attorneys at Gerald Brody and Associates in San Diego can assist you with picking the perfect QME, using our knowledge, expereince and connections to make the best pick. Nobody likes having to deal with a giant stack of forms. 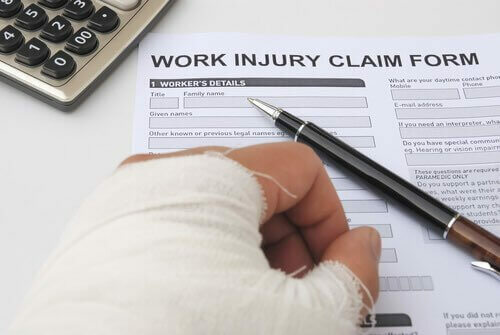 The workers' comp lawyers at Gerald Brody and Associates can help you fill out workers' compensation claim forms and make sure all of the information is accurate. If for some reason your workers' compensation claim is denied, we can also assist you with what to do next. A Utilization Review (UR) is a crucial part of the workers' compensation process. During a Utilization Review, all medical treatments that are part of a workers' compensation claim will be reviewed to make sure they are medically necessary. In some cases, treatment can be denied from the Utilization Review. If this occurs, Gerald Brody and Associates can help. Have you suffered a head, brain or psyche accident or incident while working in San Diego? If so, the workers' compensation attorneys at Gerald Brody and Associates can help by filing a workers' compensation claim that could result in a cash settlement. Click below to learn about your next steps for a head, brain or psych workers' compensation claim. A slip and fall is a workplace accident that can happen to anyone at anytime. If you suffered a slip and fall accident while on the job in San Diego, you may be eligible to file a workers' compensation claim. Gerald Brody and Associates explain what to do after suffering a slip and fall accident at work. Have you suffered a neck, back or extremity injury while working in San Diego? These injuries can have a long lasting influence on your quality of life, and workers' compensation can help you get the medical treatment you need. Let the workers' compensation experts at Gerald Brody help you understand the steps to take after hurting your neck, back or extremities on the job in San Diego. Working on a ship, dock or as a longshoreman can be dangerous work. If you suffer an accident that leads to an injury, you need to know what your rights are. The workers' compensation attorneys at Gerald Brody and Associates have years of experience helping longshoreman file workers' compensation claims and win big cash settlements in San Diego. Losing a loved one can be a heartbreaking time, and it is even tougher if you have lost the breadwinner for your family. Luckily, workers' compensation can help with death claims and dependency determination. Gerald Brody and Associates can help you navigate a path during this difficult time, making sure you receive what you need to provide for your family. Part of being an employee is having the right to work in a safe workplace. If you feel you work in a dangerous work environment that is constantly posing hazards to your wellbeing, Gerald Brody and Associates can help. Reflex Sympathetic Dystrophy and Complex Regional Pain Syndrome are two chronic pain ailments that can be common for workers. If you think you are suffering from RSD or CPRS, Gerald Brody and Associates workers; compensation law firm in San Diego can help you get the settlement you deserve. Whether it is a tweak, a sprain or a break, knee, ankle and foot injuries are never fun. If you have suffered a knee, ankle or foot injury that stemmed from an accident at work, you may be eligible for workers' compensation. Contact Gerald Brody and Associates for help filing a claim and getting a cash settlement.